The perfect workshop for the professional whose aim is to help clients of all ages to express themselves better. The Projective cards are cards with no words; only images inspired by nature and the world around us. These images can be interpreted in many different ways, and that is the treasure in them: they allow the client to express what they are feeling or thinking, even though they were confused or at a loss for words before. One of the most significant moments during the therapeutic process, especially when the client feels stuck or unmotivated. Ideal for: therapists, child psychologists, trainers, coaches, educators. Working with the cards can start with a simple exercise and elevate to much more complicated exercises which can unravel the stories of your clients. 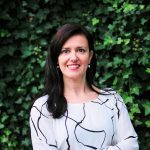 Vassia Sarantopoulou is a licenced psychologist, with more than 15 years of experience as a counselor-therapist, trainer and speaker. She has studied Psychology in Athens, Greece, and she has completed two Master courses, one in Counseling (Athens), and one in Psychology (Leiden University, Netherlands). She has been trained in Schema Therapy, CBT (Cognitive Behavior Therapy), EFT (Emotionally Focused Therapy), as well as in other approaches and practices (such as Mindfulness, Transactional Analysis, Play therapy, etc). She has been living in the Netherlands, Leiden, the last 6 years and she is the founder of AntiLoneliness (www.antiloneliness.com), a company providing high-quality counseling services to men and women of all ages in Leiden and in the Hague area. At AntiLoneliness, our clients’ well-being, inner peace and healthy, meaningful relationships is our most important mission. Register for one or more of the Forum meetings with the form below! A 20% discount applies for students, you must be able to show your student card when requested. Choose 1 and pay €35,- for the session. Choose 2 and pay €60,- in total. Choose 4 and pay €100,- in total. Yes, keep me informed about the Professional Forum!